I've mentioned many times before that my mind and habits are so chaotic that when it comes to gardens, I'm always drawn to ones with simplicity and order (there are many exceptions, of course). Not that the above border isn't high maintenance, which it is - note the edging to the grass, the clipped boxwoods both in the border below the brick wall, and the line of boxwoods on top. Still, I call this a simple concept, and just looking at it makes me feel calm. I'm trying to think where I could have such a border to include evergreens (as in the boxwood balls above) and then change the fillers with the seasons. If the ground didn't fall away from a stone wall at the back of my house (it needs another very tall - read "expensive"- retaining wall in order to create a long, flat space), this would be an ideal border to have. When my ship comes in, I'm going to do this. It may be a while, but that's something to look forward to. This photograph was taken in October, so it's heartening to think that here in Atlanta, something could look so good this late in the season. Of course, in theory I would like to do this, but I'd probably have a hard time restraining myself and would want to stuff the areas between the box balls with too many things. I was just reading through piles and piles of newspaper and magazine stories about my 96 year old friend Margaret Moseley. 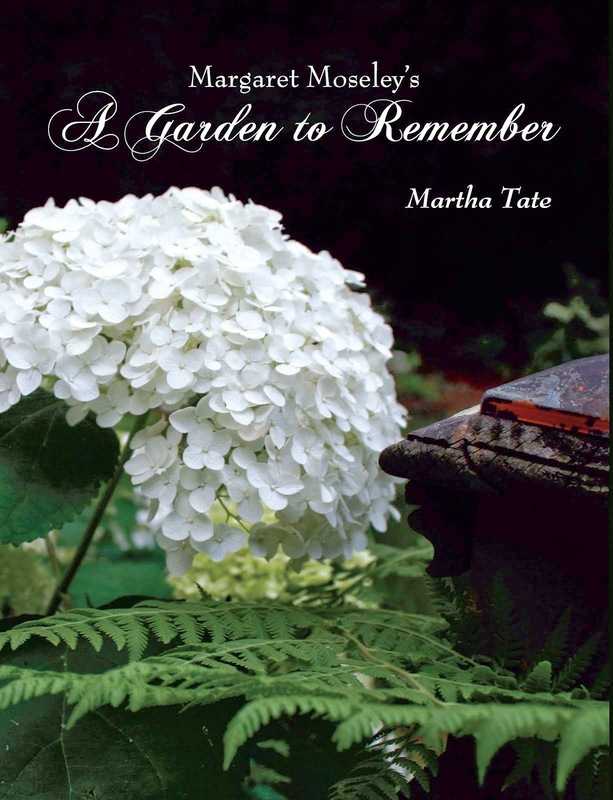 One of her pieces of advice was to keep your garden full, but don't over plant, even though you want every flower you see. Margaret particularly loved to quote her much-admired guru, garden writer Elizabeth Lawrence, whose famous line was: "Once I had a lovely garden, and I ruined it with plants. That's what I would do, I'm sure. But I'd like to think I could use restraint and create something as pleasing and peaceful as the scene above and have it look this good in the month of October.